One year has passed since the European Learning Exchange started. 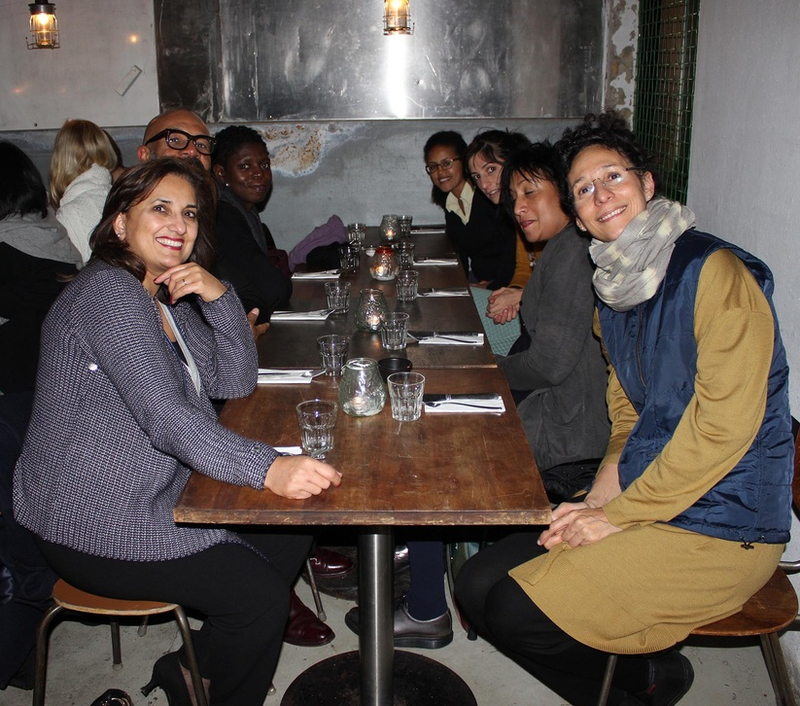 So far, a fruitful learning journey through Reggio Emilia (January 2014), Berlin (June 2014) and Copenhagen (November 2014) has boosted our local project on Diversity in Leadership. 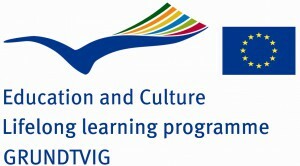 The partnership is funded by the LifeLongLearning programme of Grundtvig. Its objective is self-empowerment through knowledge building and sharing at European level and with that, to boost local projects in participating cities based on DiverseCity. DiverseCity onBoard initiative of the Maytree Foundation connects qualified candidates from visible minority and under-represented immigrant communities to the governance bodies of agencies, boards and commissions and voluntary organizations in the Greater Toronto Area. Our sincerest thanks to Maytree for their generous support in the concept development of this project. 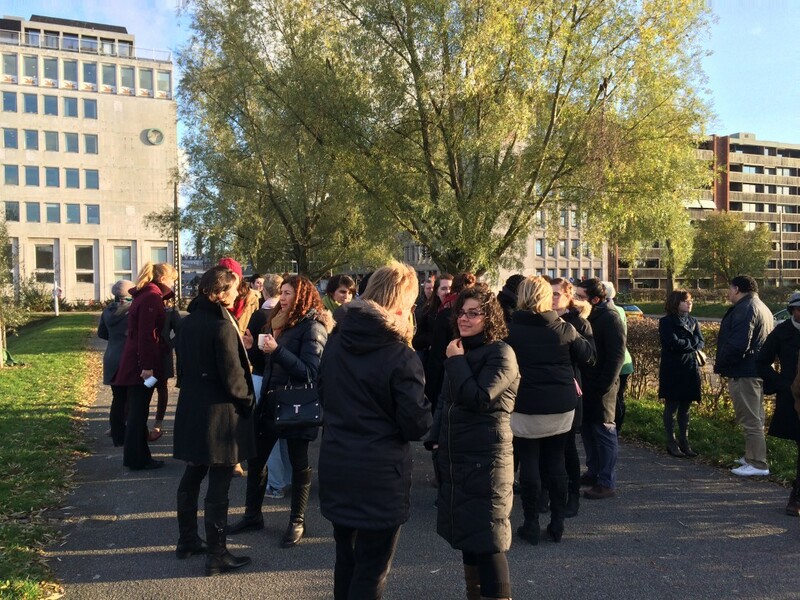 KVINFO and 3F would like to thank the 40 participants of the learning exchange in Copenhagen … and all 75 guests who attended the public session on Thursday, November 27th. Our aim was to explore answers to one question: What do we need to know to fully use the skills of diverse leaders? And we were happy to share with you the knowledge and professional experience of organisations such as Phineo, Brap, DiPA and Citizens For Europe. Collectively you’re an amazing army of idea pollinators. THANK YOU. 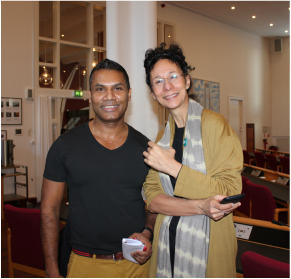 The agenda was very inspiring with international and national experts on diversity and social innovation. This workshop’s objectives were to enable the leaners to: 1) identify key strategic objectives and challenges for their projects, 2) develop their “theory of change” on how to make a difference in society, 3) give and receive peer-feedback and 4) communicate and scale up their projects‘ social impact. It was designed to allow for feedback and learning between “peers”. Brap’s approach draws on the latest thinking about “uncouncious bias” and intercultural competences. The audit tool is for any innovator, especially those determined to take action on the diversity challenge. Via floor exercises the learners tested the four key areas of Brap’s intercultural board model: individual awareness, board values and behaviours, decision making, and the ability to realise the benefits of diversity. The board audit tool is a work in progress. This workshop focused on showing in practice what does it take to prepare individual candidates for serving, on diverse boards. DiPA works on a daily bases with non-profits dealing with the diversity challenge and in the process of forming a diverse board for their enterprises. But more importantly, Shaama Malik and her team at DiPa have developed a whole support system for individuals to join in through the process of creating a diverse board. Walk through Nørrebro: with Uzma Andressen (I am Norrebro) and Laerke Clausen (3F) Over the last couple of decades Nørrebro has evolved from being a working-class area into Copenhagen’s hottest neighbourhood. Trendy bars and fashionable designer shops are side by side with cheap kebab places. Nørrebro is also the place of the Assistens Cemetery, which holds the graves of Hans Christian Andersen and Søren Kirkegaard. The residents of Nørrebro love their neighborhood so much, that they create an audio walk: I AM NØRREBRO. 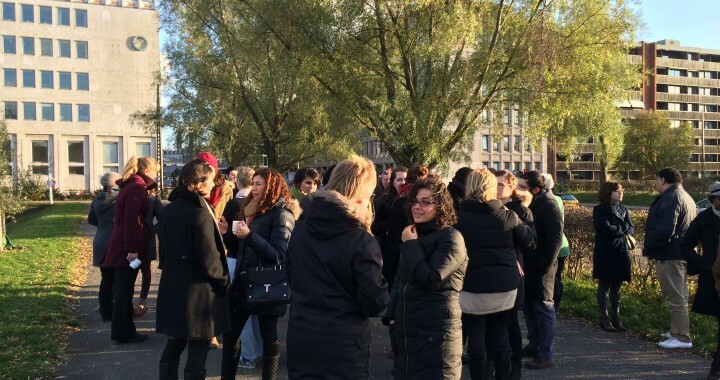 Uzma Ahmed Andresen, social activist and candidate for Alternative, and Lærke Kamma Clausen, student assistant – 3F, walked with the learners in a very cold November afternoon exploring Nørrebro’s diverse and hip multicultural atmosphere. What needs to happen so that diversity is more valued in public discourses? This workshop designed and facilitated by Catherine Wurth aimed at developing 5 good practice projects/actions on what needs to happen so that cultural diversity is more valued in public discourse. First a silent brainstorm session in six small groups. Next, each learner shortly presented two ideas on diversity to her/his small group. Cultural diversity was concretely related to the learner’s daily work and projects. Ideas were then presented to all the learners, and further refined into best practice projects/action. Prototypes of these projects were then pitch. Templates, pictures and outputs of each pitch can be seen here. To get a deeper insight in what we discussed during the workshops, you can easily access thedocumentation. For more pictures, please have a look at our huge photo gallery! Finally our video about “Why Diversity Matters” from the Berlin Learning exchange meeting is finished! Have a look: there are great interviews and a nice shot about what we did in Berlin in June. “Our cities are diverse, our leadership is not”. During the last few months, the Vielfalt entscheidet Competence Team was institutionalised; a diverse team with more than ten experts from Federal Ministries, city administrations, foundations, the private sector, various NGOs and academia regularly meet to consult the team of Vielfalt entscheidet on project developments and strategic decisions. The aim is to work with different stakeholders to be constantly confronted to the different facets of diversity, from working against structural discrimination as well as improving the performance of institutions. We also want to experience cross-sector cooperation and specialise in multi-stakeholder engagement in order to maximise collective impact. Vielfalt entscheidet is currently gathering data about diversity in leadership data in different sectors. Beginning 2015, the data on the number of people with migration background, People of Colour (PoC’s) and women in boards and in the executive management in federations, associations and stages (theatres, operas, etc.) based in Berlin will be released. In addition, the team of Vielfalt entscheidet has been looking for best practice institutions and personalities in shaping and enhancing diversity in leadership that will be published in the beginning of January. Have a look atwww.vielfaltentscheidet.de. The big aim of 2015 is the implementation of a Vielfalt entscheidet Pilot Project in Berlin thanks to the intense fundraising we done during the last months. Is there a sufficient pool of eligible applicants among women and youth, among ethnic minority groups? How will you prepare applicants to serve on boards and expert committees in the broad cultural sector?. How to help boards and expert committees of cultural organizations asses how diverse they are? KVINFO role is to create the prototype of an online dashboard, which shows the kind of talent pool available. 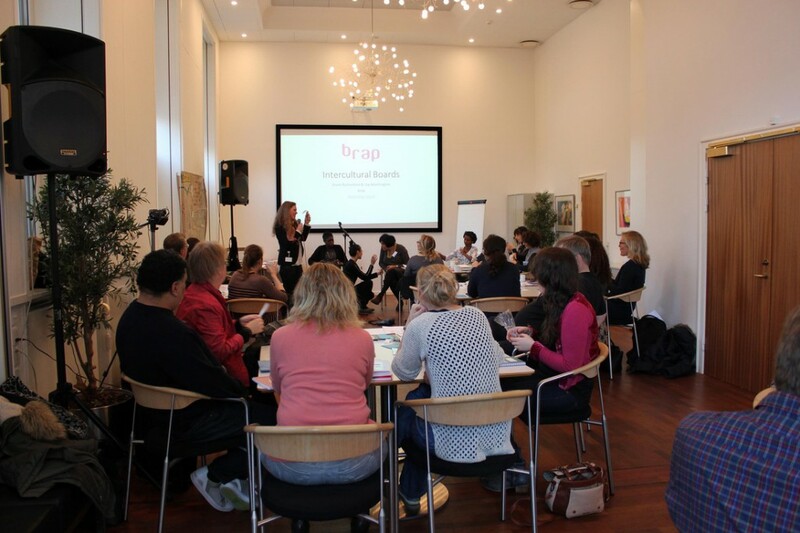 The prototype will include access to the board intercultural audit tool presented by the British think-tank Brap in Copenhagen, and access to the steps designed by the partner organization DiPA to make individuals board-ready. The prototype is a first step to develop a business case to garner support, obtain funding for a future pilot project. As a partner organisation in the DiverseCity onBoard project the Immigrant Council of Ireland (ICI) has benefited immensely from the opportunity to further develop its ideas and campaigns in several areas. During the last few months, the ICI has furthered its work with transport providers in Ireland, having successfully received funding from the Equality Authority in Ireland to deliver internal anti-racism and diversity capacity building session within private transport companies such as taxi companies and a private bus company. This training, to be delivered in 2015, will seek to work with companies to identify or formulate best practice approaches to diversity and anti-racism within their organisations and to develop protocols which describe this.The ICI has also further developed its intention to initiate a leadership programme for 2015 which will build upon the success of previous ICI leadership and mentoring schemes and intends to include an element of facilitating young people from a migrant background who are interested in volunteering for boards of organisations or companies. To further develop this element of the programme, the ICI has engaged with an organisation in Ireland who matches candidates with interested boards, Boardmacth. The ICI will be meeting with this organisation in the coming weeks, and hopes to invite them to participate in future planned learning exchanges within the “Diversity in Leadership” project. DiPA has been continuing to spread the word about why diversity in leadership and on boards in particular is important and a win-win for individuals and organisations. This includes links with central government teams leading on public appointments, the office of Northern Ireland Commissioner for Public Appointments and attending a new network to be launched in January by a leading executive recruitment firm (Harvey Nash), aimed at identifying and supporting more diverse talent for non-executive and board appointments. In February 2015, DIPA, in partnership with Women in Public Policy (a development network for a wide range of women involved in public policy roles), will run a workshop to promote understanding of public appointments, improve confidence and skills in making effective applications and to practically help women apply for current vacancies. ‘What are we waiting for?’ will be the encouraging theme of the workshop. Mondinsieme’s engagement with the issues of Diversity in Leadership and Diversity Advantage/Diversity Management, with a special focus on second generation youngsters, is continuing under the umbrella of the Diversity Advantage year. Two international events will be held; 1) in March 2015 – Spring against Racism and 2) in June 2015 – Summer school on cultural diversity advantage. As many local actors are interested in the development of activities on such issues, the present challenge for Mondinsieme is to create and coordinate a competence team (composed of the Muncipality of Reggio Emilia, business and trade associations, companies, trade unions, academics, employment agencies, etc.) to define an action plan for 2015. In view of the summer school and the action plan 2015, data on Board composition, as well as on second generation’ s qualifications and employment rate, need to be collected and processed. Mondisieme, together with the University of Modena and Reggio Emilia, will be in charge of all data collection and processing. – training opportunities for youngsters entering the job market in order to become conscious of their diversity competitive advantage. The Luxembourgish Reception and Integration Agency has developed and implemented local Integration action plans. Information sequences have been distributed to all the local towns and in total 10-12 towns are interested in setting up an integration plan for their community. The aim is to mainstream integration practices to the local community level in order to encourage the local decision making bodies to develop long term strategies for a sustainable integration policy. A hand book has been created and promoted. At the moment the OLAI has tailored personalised workshops for the different towns in order to find out the different priorities. In addition, equal representation in the local associations is target. At the moment, a survey has been distributed to find out the status quo. In addition, the Luxembourgish Chamber of Commerce has shown interest in the topic of Diversity in Leadership. There will be a follow-up on the opportunities to tailor a workshop for them. Ratna Omidvar is Founding Executive Director of the Global Diversity Exchange (GDX) at Ryerson University and former director of the Maytree Foundation. She initiated DiverseCity onBoard, that won the Intercultural Innovation Award of UNAoC and BMW Group in 2011, and since then has spreat throughout the world and is at the origin of the European Learning Exchange. The Order of Merit is awarded by the President of the Federal Republic of Germany to draw public attention to achievements that are of particular value to society. Of special significance is the contribution that Ratna’s international work with German foundations, universities and public institutions and the new vision she brought to Germany as a country of immigration, and a nation committed to fostering a culture of welcome. To see the whole interview, please follow this link! What can Germany learn from Canada? Canada is not perfect by any means, and Canadians will be the first to say it. But I think there are some areas we have become quite good at over time, and others can learn from this experience. From policymakers down to educators, Canadians see immigrants asfuture citizens. We recognize that Canada will only succeed if its newest residents succeed alongside with it. What does this mean in practice? It means that weinvest in people from the start. We want you, a newcomer, to pass your citizenship exams, we want you to learn English or French, we want you healthy, we want you to get hired, and we put tax dollars into doing these things faster and better. Another lesson is found in the Canadian private sector, in a class of its own in terms of leadership on diversity and inclusion. Businesses of all sizes have proactively improved their newcomer hiring and management strategies. Why? They recognize that diversity is an asset, and they leverage that asset as good businesspeople do. With a top-to-bottom diverse workforce, Canadian companies have reached new markets both outside Canada and inside the country, for example, by developing products and services targeted at newcomers. But one of the most important institutional levers we have in Toronto (and in Canada) to promote our multicultural identity and values is our school system. An institution that touches all of us, at the heart of every community with a mandate to leave no child behind, committed to fairness and equal opportunity, and rigidly intolerant of discrimination, racism and hatred of any kind – these policies are transformative, and are seeded and grow up very naturally among our young people. Germany can better recognize schools – also libraries, health services, and police services – as critical forms of public space where systemic change can occur every day in ordinary ways. Finally, as Canadians have done, I urge Germans to find your symbols. To develop a national narrative that recognizes your diversity and tells its story. It will feature your brilliant scientists, artists, young leaders, economists, and entrepreneurs who are making Germany what it is today.